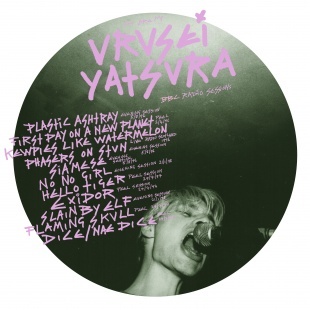 In the mid 90s and very early 00s I lived in ignorant bliss where a Glaswegian band called Urusei Yatsura was concerned. Between 1993 and 2001 the band released three albums, many singles and contributions to compilation albums. This ignorance remained in tact until the spring of 2016 when I received an e-mail from the Rocket Girl label in which this album was announced. I listened to the link, liked what I was hearing and only then found out that I was listening to a compilation album with radio show appearances from the 90s. Let me take you back for a while. Urusei Yatsura was a four some. The band was started by Fergus Lawrie and Graham Kemp, who met at university. Elaine Graham joined on bass and brought her brother Ian on drums. The bandname was nicked from a manga series with the same name and said to mean noisy stars. The first recording 'Guitars Are Boring' was put on a compilation album which caught the attention of the late John Peel who brought them in for a studio session. From there the band started a relatively short career that brought three album, all with the band name in the title. The music on this session compilation album can be filed under alternative rock, with some U.S. punk references. When the band started to release albums the Oasis - Blur competition was in full swing, but Urusei Yatsura has nothing to do with Britpop. The music is closer to Smashing Pumpkins and other grunge acts from the U.S. Loudly played guitars are in front of everything with a few overdubs to add melody lines. The singing is somewhere between neat and rough with gives it an attractive edge. Just like in the 90s one or two of the songs are too much, others are just so fine. Would I have liked this 20 years ago? I may not have actually. That time changes taste preferences that is a well established fact. In my case not necessarily to "safer" and softer music. In fact I could have lived without this album easily. Now that it is here, I'm glad to have gotten to know the band. Just one of these little surprises that sometimes come my musical way. Urusei Yatsura was a fine outfit, that during these sessions was on the top of it game. The past 15 to 20 years have not taken anything away from its performance then. 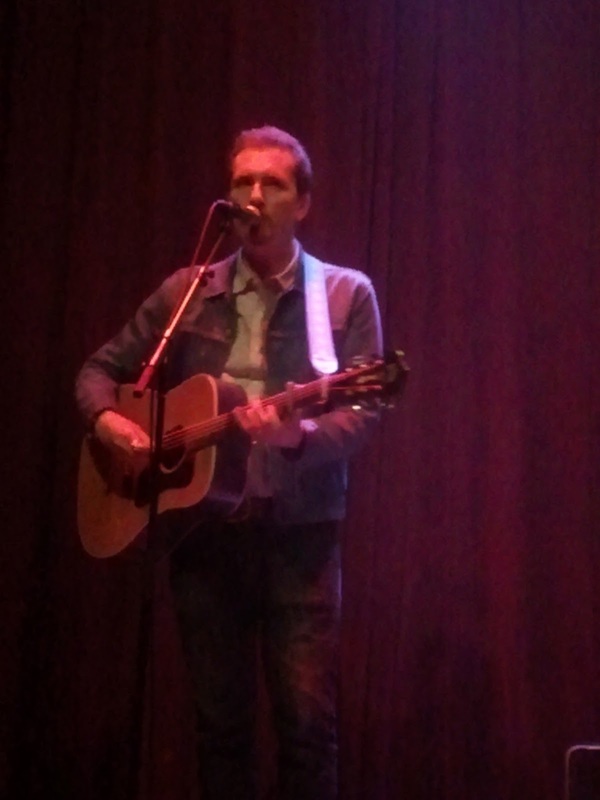 This review starts with Shane Alexander, the singer-songwriter who on the side of his own career assists new artists on the L.A. singer-songwriter scene with their recordings as producer. The artist he mentions foremost in his recent interview with this blog is Shelby Figueroa. Time to check her five song EP out. Listening to the songs for the first time, I'm almost flooded by the emotions rolling out of my speaker boxes. The voice of Shelby Figueroa is no ordinary one. Like Stephanie Fagan she is able to touch upon a range of emotions and then delve some more. Without any antics or effects. This is singing as it was once meant to be. Relaxed and leaving spaces for added effect, instead of covering all and everything. As Shane Alexander explained a concious choice was made to present the real thing. O.k. there will be some echo of sorts on the vocals, but for the rest it is pure and normal singing. The accompaniment is just as elemental. Shelby Figueroa is a pianist and that is the instrument we hear most. Behind her and her piano things happen (or not), but in silence and to bolster the compositions. Sparingly but 100% to the point. The atmosphere of a relaxed Sunday afternoon is emulated, making music with some friends amd a glass of a great rosé close at hand. I can imagine a recording studio with candles and see-through draping to create a dreamy environment where a great performance came together. In her lyrics some all time truths and good sense are touched upon: "Wild flowers don't care where they grow"; "I'm on a highwire, but afraid of heights"; "You are calling me out into the storm...I know I'll be afraid and doubt and fear ... the unknown". Sensible, is the word I'd like to use here. Figueroa is not afraid to move into a unknown situation, but does so with care and good sense. Like most people would. And that is just as down to earth as the picture of her I found on the Internet shows her. Like "a normal person" and certainly not some otherwordly pop singer. Listening more regularly to Highwire I can't help being more impressed. Highwire soothes the soul and mind. With each song Ms. Figueroa moves a little closer to me and envelopes me with her songs until we become one for a short while. Her pop songs with a deep melancholy underside make me long to hear the next song. If I have to pick one out as a favourite it is the song placed in the middle, 'Dark Passenger'. Although it reminds me faintly of another song that I can't lay my finger on, it holds such a strong inner beauty that it is my favourite of the album. The soft tinkering piano notes call to mind Agnes Obel, but no song of her touched me like 'Dark Passenger' does. The soft whine of the sliding notes in the background does the rest. Pure beauty! Together with Vancouver, BC based Natalie Ramsay and Dutch Elenne (Klok) May, Shelby Figueroa is my favourite female singer-songwriter discovery of the past one and a half year. I would be most surprised if Highwire is the last we ever hear from her. Highwire is a totally convincing EP that ought to be the start of a career that could touch the hearts of many. 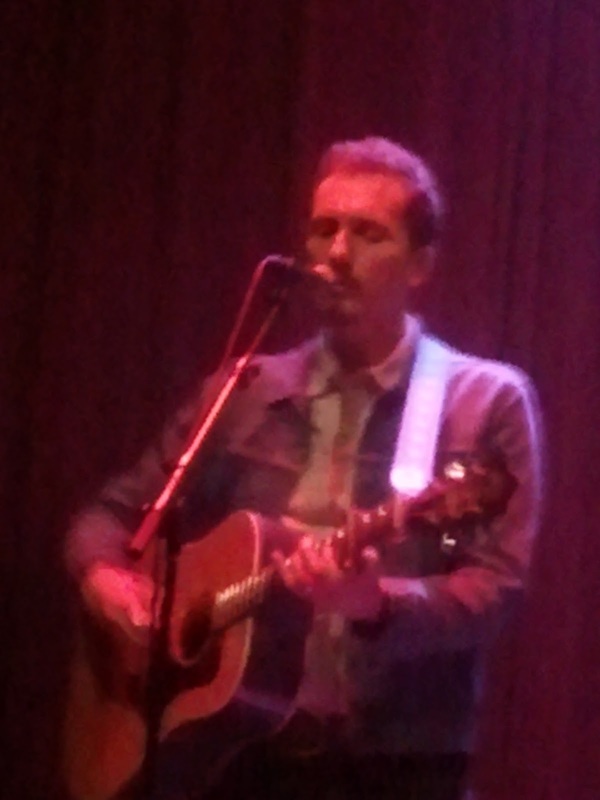 U.S. singer-songwriter Shane Alexander is no stranger to these pages. 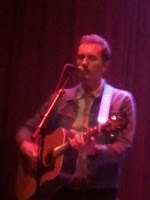 From somewhere in the second half of the previous decade his albums and live shows featured first in the Magazine and then on this blog. In fact he was one of the first artists to be interviewed by us. With his new album 'Bliss' out this summer, we reached out again and found Shane willing to spend time with us and announcing the first dates of his NL fall tour. Bliss is the title of your new album. There also is a concept behind it all. Can you explain more about it? The title came about midway through the making of the record. I’d recently dealt with the near-death of my mother, many close friends battling depression, and other close friends’ brutal marital strife. I started thinking that finding bliss is what it’s all about, finding the beauty of life AS IT’S HAPPENING. The simple act of gratitude and stopping to acknowledge the sweet moments is too often forgotten. I’m a firm believer that the more you find in your life to be grateful about, the more you can cultivate a life of unshakable happiness. Also, as an artist reaching many people all over the world, I felt I had a moral obligation to put something positive out there. There is some obvious symbolism in the cover art. What does it stand for? The cover art came to me later. I was listening to mixes and trying to visualize an image to compliment the music. I wanted something simple and sort of iconic. The image of a face that radiated warmth and peace came to mind. I reached out to Alan Forbes, an amazing and well-respected rock poster artist from the Bay Area. He was so kind to take on my weird request and drew the sketch you see - it’s just as I’d pictured. If you look at the image while listening to the record, the face kind of reflects the various moods of the songs. From a distance I have the impression that the concept is very close to you. In how far does the private Shane Alexander get mixed in with the artist Shane Alexander on Bliss? My private life and my musical life are pretty closely tied together, but the ideas for songs aren’t always autobiographical. I like to leave it to the listener to decide which songs are actually personal and which aren’t. I’m a spiritual person - I’ve been a Buddhist now for over 15 years. I think my fans that have stuck with me pick up on the fact that I’m a little damaged, but always trying to make the most of this precious life. Most of my heroes from Neil Young to Bowie to Lennon all had bumpy childhoods and inner-struggles going on, but did their best to turn the ‘poison into medicine’ so to speak. I hope and pray that my music comforts those who need it most. Music is my life’s mission - that and being a great dad, of course. Your songs on Bliss sound so smooth, as if they somehow always have been there. The details betray hard work. When do you know or feel that a song is ready for release? Can you give an example that really explains where hard work led to a breakthrough in a song? It’s funny you said that. A good friend and fellow producer in LA said the same thing when he heard the mixes, months ago - that they sounded like they’d ‘always been there’. I’m always trying to make something that’s both modern and classic. Bliss is the first record I’ve self-produced, so I had the ability to truly trust my instincts like never before. I tracked “Evergreen” last - it’s very simple, only a guitar and two vocals, and immediately I thought it'd be fun to put on as track #1. I’d demoed the song a few times, but the vibe wasn’t right, but after all the other songs were nearly mixed, I saw what that the record was still lacking and recorded the song in just minutes! How many songs or ideas fall by the wayside? What is a typical reason to discontinue working on a song or idea and do you ever return to old ideas? I always have a record or two up my sleeve. There weren’t a lot that I’d set aside for this record that I didn’t end up using - maybe 4-5 this time. On one I recall, I just didn’t think the drum part was right, and there were 2-3 I thought I’d stash for an upcoming acoustic record. The main thing is the songs have to work together as a group. I feel like some of my best songs haven’t ever made it onto records simply because they stuck out too much from the energy of the rest. I do sometimes come back to songs or ideas and re-work them. But often I’m just excited about whatever is newest. You work regularly with other artists, e.g. as producer. Can you talk a little about your motives and what you get out of personally? Yes, in recent years I’ve started to produce some other acts. This spring I produced Shelby Figueroa’s EP entitled Highwire and it came out beautifully - and actually hit NUMBER ONE on the Amazon singer/songwriter chart, which was very rewarding. I love producing. I especially love working with artists that I believe in. I think it’s a big privilege to be asked to help crystallize an artist’s sound and vision. Most artists fight with self-doubt and I love helping young talents find their strength. I never really had a mentor in my career, so I had to learn everything the hard way. You are allowed to plug one artist of the above mentioned. Who is it and what makes him/her special in your opinion? Well, while I’m talking about Shelby! I’d know her for some years, having been a judge of a songwriter competition she was in. Her voice is just shockingly good, but also her songs have depth and reflect a woman’s perspective in a very cool and original way. I recorded all of her parts on the record absolutely live - because I knew she was up to the challenge, and I knew it would make the record sound timeless. So much modern music that kids hear is tuned and copied and pasted to death. As a producer, I’m not going down that road. Overlooking your solo career, I am of the impression that you grow by the album. What do you know now, that you did not know in say 2005 or 2010? Well, I sure hope that I’m still growing! Making the same record twice doesn’t interest me. Perhaps to my own detriment, I’m always just trying to follow the muse wherever it leads. I think I’m always trying to capture the spark in a way that resonates with a larger audience without sacrificing my authenticity. Each record I’ve made has reflected my life’s evolution. That’s what real art is about. Now I’m blessed to have built Buddhaland Studios - my own facility to write and record and I look forward to seeing what comes next. I feel like I’m more comfortable in my own skin, both on and off stage - and that just comes with getting older. Were there any specific artists that influenced ‘Bliss’ more than on previous records? I’m constantly listening to music. I travel a lot, plus I live in LA - so I have countless hours in the car. Artists like Kurt Vile, Joanna Newsom, First Aid Kit, Conor Oberst, Ryan Adams and The War On Drugs get played a lot, but I never stray far from the classics like Pink Floyd, Sabbath, Paul Simon etc. 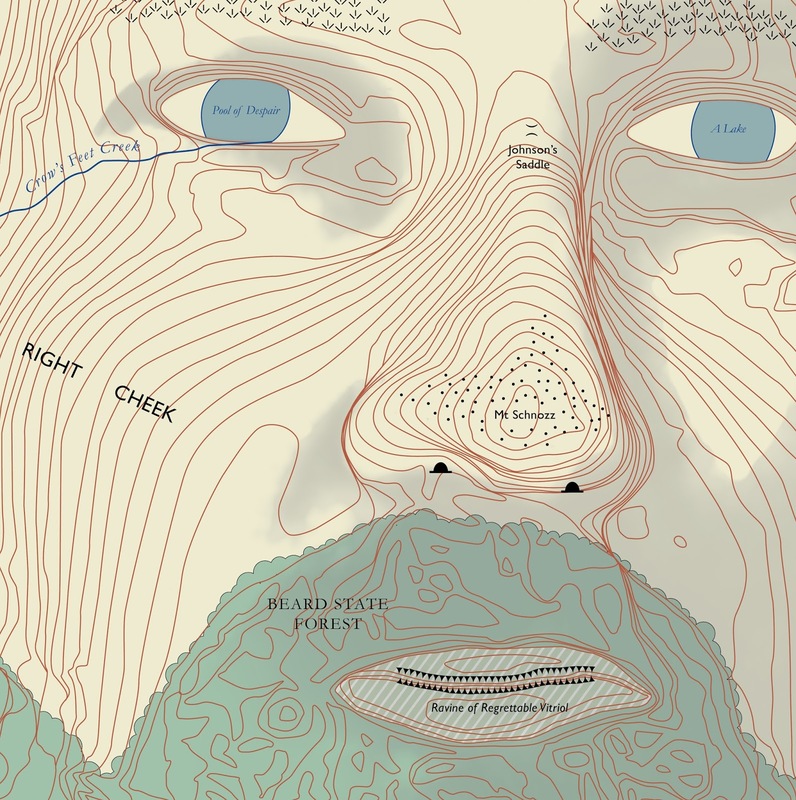 I definitely don’t ever want to copy anyone’s roadmap, but I’m sure some gets in through osmosis. 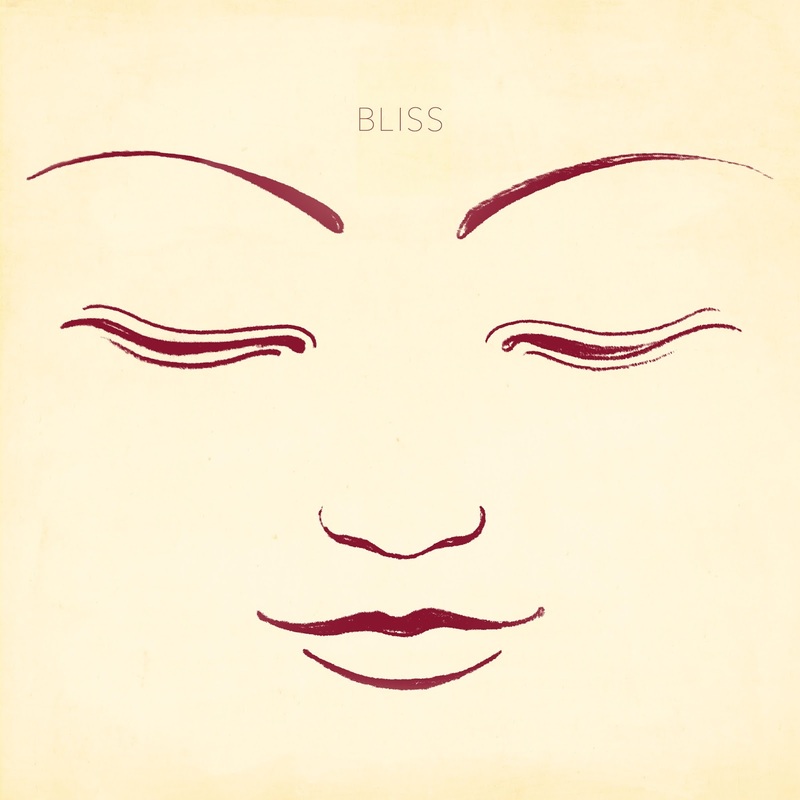 There are several songs on Bliss that are recorded in a band setting. They sound huge somehow. Was this a conscious choice or more inspiration on the go towards an end result? Part of that hugeness was just recording in my new studio - songs like “In the High” and “Hold Me Helpless” really capture the sound of my main room - it’s fairly large with a 16’ ceiling, which helped make the drums sounds big. I wanted the band tunes to rock in an organic way. The lyrics of ‘Evergreen’ seem like a declaration of intent to stay just that. Does it work that way for you when inspiration hits? That song was written quickly. Literally I looked outside and saw trees and the word Evergreen popped in my head. Again, I liked the simple sentiment ‘evergreen you’ll always be if you keep your heart alight’ - I think it’s true. In general Bliss touches me emotionally at a far deeper level than ‘Ladera’ did. Was there a difference on your end in the circumstances that you worked on these album (or is it just me)? Yes and no. I think “Skyway Drive-In” is one of my best and most honest - probably the best song on Ladera. From a songwriting standpoint, I think both records are strong. I think the difference lies between Billy Mohler’s producing style and mine. Billy always has lots of cool sounds, which I love, but my style is trying to get closer to something more personal and timeless. When you sing “I will die alone” it almost sounds like the punishment the I personage is presented with for all the choices he makes in the lyrics. Who or what inspired the song? What does California stand for for you? California is home. I love the sun. I was born in San Diego, but moved around a lot as a kid. In my late teens I dropped out of college in Pennsylvania to move to Hollywood and go to music school. In “Heart of California” I talk about ‘the first time that I took in the canyon, high on the hillside’ - a very fond memory, and yes, there’s a double meaning somewhere in there. We had climbed the hill in Runyon Canyon late at night and looked down at all the lights and I knew I was home. The beginning of the title song reminds me of the intro to Jeff Buckley’s ‘Lover You Should Have Come Over’. Am I correct? 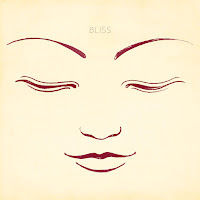 ‘Bliss’ is more on resignation than on a state of extreme happiness. Like a lot of songs have loss as a theme. Please explain. It all ends with a spoken word. Do you realise what you have done? Yes, that is Norbert Then - an amazing German sculptor I met after a concert last fall. He’d explained a sculpture he made that was based on the biblical story of ‘The Prodigal Son’ and I bootlegged him! I had more of him on the song in an earlier version, but ended up keeping only the last line ‘ First of all you must go down, before you realize what you have done’. I think that’s true. I realize my shortcomings and mistakes I’ve made, and most importantly, I forgive those that have done me wrong - that in itself is very healing. To end on a chance for some promotion: When are you coming over here again and do you have some details for us? Oh yes, I’ll be back in my sweet home-away-from-home in late October. 27/10 de Vorstin in Hilversum, 2/11 Patronal Haarlem, 6/11 ABC Theater Dordrecht, and a few more shows, all will be on shanealexandermusic.com!! Thanks so much for spreading the word about the new record! The Jayhawks maakten met Hollywood Town Hall uit 1992 en Tomorrow The Green Grass uit 1995 twee platen die ik schaar onder het mooiste dat de alt-country heeft voortgebracht. Het zijn platen waarop de samenwerking tussen songwriters Gary Louris en Mark Olson de ene na de andere prachtsong oplevert. Toen Mark Olson de band in 1996 verliet zakte het niveau van de platen van The Jayhawks helaas flink in. Pas toen Mark Olson in 2011 terugkeerde voor het fraaie Mockingbird Time, maakte de band weer een plaat die herinnerde aan hun twee meesterwerken uit de jaren 90. 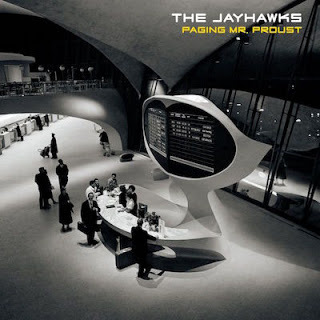 De terugkeer van de verloren zoon bleek helaas van korte duur, zodat The Jayhawks op Paging Mr. Proust weer vrijwel volledig moeten vertrouwen op de skills van Gary Louris. Het pakt verrassend goed uit. Op haar nieuwe plaat doet de band uit Minneapolis geen poging om het geluid van haar twee beste platen te reproduceren, maar kiest het voor een geluid waarin ruimte is voor steviger gitaarwerk en juist voor meer ingetogen momenten. Co-producers Peter Buck en Tucker Martine geven het gitaarwerk van Gary Louris alle ruimte, wat aan Neil Young (en soms ook aan Prince) herinnerende solo’s oplevert. Hiertegenover staan meer ingetogen momenten, waarop de muziek van The Jayhawks zwoel en dromerig klinkt. De hele plaat ademt, meer dan we van de band gewend zijn, de sfeer van de jaren 60 en 70 en dat klinkt bijzonder aangenaam. Paging Mr. Proust leunt vanwege het ontbreken van Mark Olson veel minder zwaar op de voor de band zo kenmerkende harmonieën (zangeres Karen Grotberg doet slechts een enkele keer een poging om het oude geluid te doen herleven), maar hier staat voldoende moois tegenover. Waar ik bij de meeste vorige platen van de band, inclusief Mockingbird Time, na een tijdje toch weer begon te verlangen naar Hollywood Town Hall of Tomorrow The Green Grass, klinkt Paging Mr. Proust zo anders dan deze klassiekers dat dit verlangen dit keer achterwege blijft. Het heeft even geduurd, maar Gary Louris heeft zich eindelijk weten te ontworstelen aan de gevolgen van de breuk met Mark Olson. Het levert een plaat op die best in de schaduw mag staan van de twee alt-country klassiekers die de band in een vorig leven maakte. Een onverwacht goede terugkeer van deze grote band. Some months back I was sent a link to the first single of the forthcoming new album by Lawrence Arabia, 'A Lake'. This intricate pop song which opened a plethora of memories to many, many songs, spoke to me immediately. This made me more than curious to hear more. Now it is all fine and well to write "the new album by", but for me 'Land' was the first song I ever heard by James Milne, who releases music under his nom de plume Lawrence Arabia. In fact Absolute Truth is the fourth album under that name. Absolute Truth is released on the Flying Nun label from New Zealand with artists that hardly ever make it to The Netherlands. In the past year and a half a few artists on the label made it to this pages, the last being avoid!avoid. I'm glad to write about another fine album from the label. No matter how different the two albums are, there's one common distinction: quality. 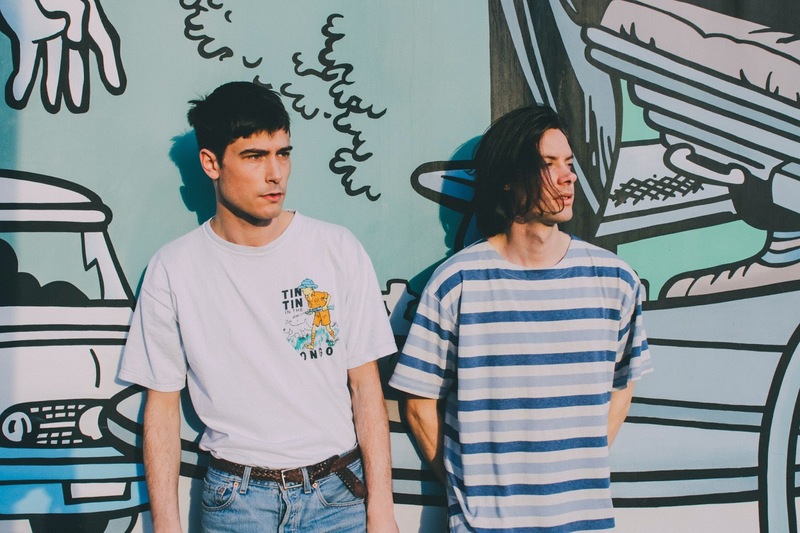 Absolute Truth kicks off with the single 'A Lake'. An introspective, two chord beginning on an acoustic guitar is all there is. Anyone with a little knowledge of pop music can name a dozen songs who start out that way, the same chords and all. It is when Milne starts singing it is clear that 'A Lake' is not your average pop song. The vocal melody goes here and there, up and down. Sliding over the chords, and later the rhythm, while exploring all the directions it can go into. Far beyond the obvious. Lawrence Arabia manages to keep this level of interest in the music very much alive in what follows. The soft toned songs, all based on a fairly minimal instrumentation, sooth, please and intrigue at the same time. When James Milne sings "I wanted to impress you" in 'I Waste My Time' it is with an undertone in the keyboard/organ that is accompanying him that makes me prick up my ears. What is really going on here? The music itself brings Crowded House to mind foremost. A stripped down version that is, but the striving to find the most ideal pop song, to put the most beautiful oohs and aahs in the correct places, it is all there in a much more elementary form. In a way it is harder as there is less to impress with. Secondly Paul McCartney in his most lazy form, when he is not out impressing the world, but at his most pure and intense. Lawrence Arabia is neither, but evokes these moods in a pure and surefire way, by being itself. This music is pure and reaches a maximum result with a minimum of effects. There is one major risk to Absolute Truth. If someone only listens with a half ear, the music will seem shallow and lightweight. To do so is a major mistake, but it is understandable. Anyone who lets the album in, submerges under the music, is in for many a pleasant surprise. The people of Flying Nun have a keen ear for quality. It's not for the first time I can write this. Absolute Truth? In a biased way I'll state yes. Another month, another Kairos. Wo. is still desperately struggling to catch up with the lack of time he faced in the fall of last year to listen intensely to music he is not exactly familiar with; most of the time that is. A holiday in the meantime does not help either. On the other hand, does it t matter? The Kairos show may be on the Internet for eternity. So what is a few months compared to for all time? Here come Wo's impressions of the May 2016 show. Cees Sax by now is another familiar name to me thanks to Kairos. Looking him up on the Internet I found the comment: "My name is Sax and I play the guitar". Cees Sax is a guitar teacher by profession and releases self-recorded compositions who have found their way into Kairos. 'There's Comfort In Melancholy' is all that the title promises. The extremely soft playing allows one to dream away and contemplate what needs contemplation. The only setback is that I had to hurry as after 4 minute 30 seconds it is all over. That mixing genius of .No sets to work and something strange comes into the composition. Something that does not belong, but somehow seems to fit as if it was intended to be mashed. Just waiting for someone to hear it and do so. Prick up your ears to hear some .No magic. 'Ear To Ear (Antiphones)' slides in and takes over. This John Cage modern Gregorian church music composition also comes from the Rothko Chapel album or series? No, one album. The Houston Chamber Choir sets the contemplative mood back to where I was after a short interruption, with its rendition of this tender composition. 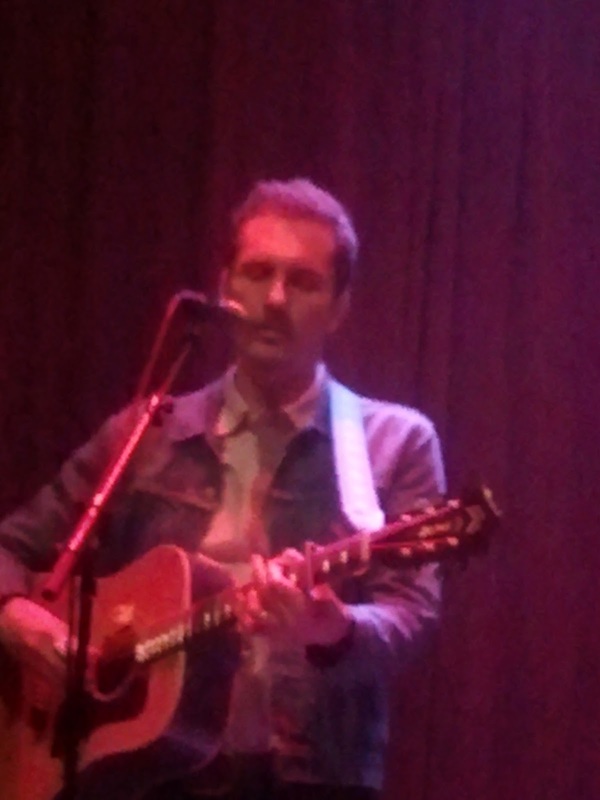 Jesse Mac Cormack by now is another familiar artist on Kairos. Another song from his EP 'Crush' comes by, 'He Knows'. Again the difference between the live show and the EP strikes me. 'He Knows' is so "normal", where live Mac Cormack is hunted by loads of demons that seemed to be chasing him all over the stage, at the end bringing him to his knees. On record the influence of a singer-songwriter like Elliot Smith is apparent. The same amount of mystery lays around a song, while being spellbinding at the same time. 'He Knows' is a beautiful singer-songwriter song with something hard to describe going on in the background. Mysterious, dark and brooding. Them ghosts and demons that are released on stage? It looks like it. Giovanni Pietro Aloisio Sante da Palestrina was an Italian composer who lived in the 16th century. Again he comes by with an excerpt from his 'Missa Aeterna'. The glorious singing of the choir brings me to other places and times when religion was still a part of my much younger self and those moments in which I run into a choir rehearsal by accident. The Lord is praised by the voices of humans in several ways. Intricately the parts weave in and out of each other like the smoke of offerings in days long before Palestrina, let alone us in the 21st century. The days of a living God of old. The break into Sophie Hunger's 'D'Red' is large, nearly a void that opens itself unsuspecting to the wanderer. At the same time I find the song has a same sort of sacredness. Sung in an ununderstandable Retroromanic or Schweitzer Deutsch Hunger touches on deep emotions like Palestrina did over 500 years before her. Not for the first time I'm deeply touched by her talent, even more when the music shifts again to choir music, but this time of a modern sort. Juliana Barwick's 'Envelope' is a choir made up of tape loops that hold profane and sacral elements. A strange hybrid of moods, that work well together. Although I have to admit to the fact that this musical "trick" only works for a short while for me, 'Envelope' is too long as far as I'm concerned, the composition did grab me at first though. Aural exploration. Tim Gray is Ethernet, the name under which he released his album 'Opus 2'. This selection is called 'Dodecahedron'. (With thanks to Wikipedia: "A dodecahedron is any polyhedron with twelve flat faces". That did still not help me though.) It is a bit of the same with the music. 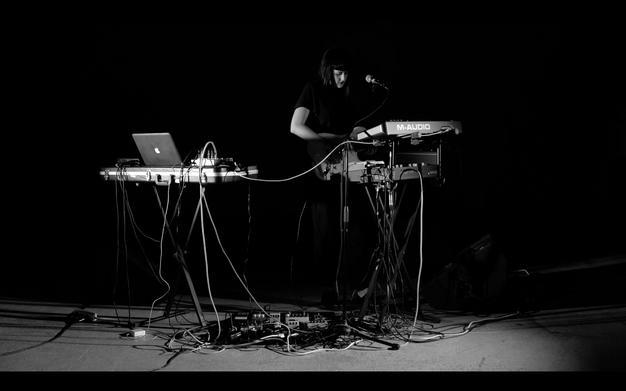 Twelve flat faces or not, the spiralling synths, the soft, looped percussion touched me in no way whatever. It all just revolves around a vague theme, never becomes concrete and is/seems to be going nowhere. That makes it hard for me to connect. This Kairos ends with a short except of Nils Frahm. Solid piano chords, played ever so sparingly. It made me want to sing something. Finally I burst out in "How could I ever lose somebody like you" and "I don't want to fall in love". Yes, Chris Isaak. By the time I had figured that out, this Kairos was all over. 00:05 Cees Sax. There’s comfort in melancholy. 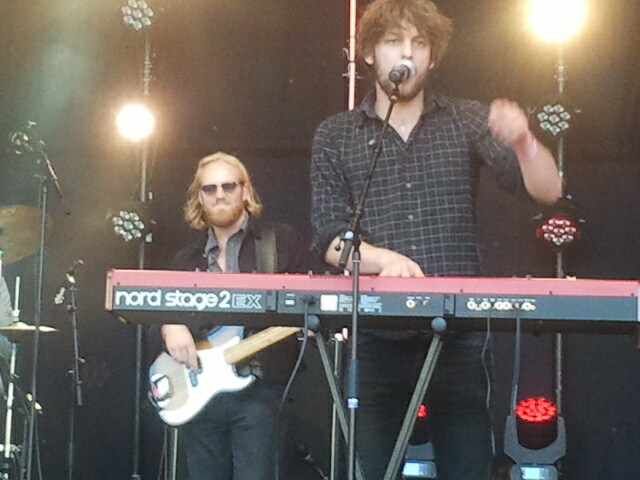 Cees Sax, gitaar. 04:31 John Cage. Ear for Ear (Antiphones). Houston Chamber Choir olv. Robert Simpson. 08:30 Jesse Mac Cormack. He Knows. Jesse Mac Cormack, gitaar en zang. Van album: ‘Crush’. Secret City Records 6 80341047002 3. 12:53 Morton Feldman. Rothko Chapel. Kim Kashkashian, altviool; Sarah rothenberg, piano, celesta; Steven schick, percussie; Houston Chamber Choir; Robert Simpson, dirigent. 38:49 Giovanni Pierluigi da Palestrina. Super Flumina Babylonis. Pro Cantione Antiqua; Runo Turner, dirigent. Van album ‘Palestrina: Missa Aeterna Christi Munera – 3 Motetten – Lassus: Busspsalm u.a. – Pro Cantione Antiqua’. 43:13 Sophie Hunger. D’Red. 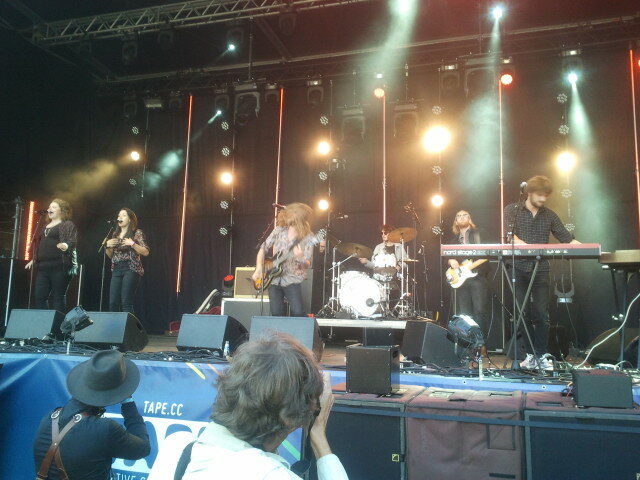 Sophie Hunger & band. 46:11 Juliana Barwick. Envelop. Julianna Barwick, tape & computer. 51:19 Tim Gray. Dodecahedron. 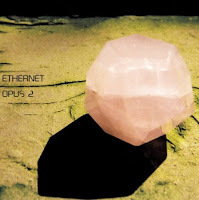 Ethernet (Tim Gray). 58:29 Nils Frahm. Some (fragment). Van album ‘Solo’. Erased Tapes Records ERATP065CD. De Spaande singer-songwriter Joana Serrat trok begin vorig jaar in kleine kring terecht aandacht met haar debuut Dear Great Canyon. Samen met de vooral van The Arcade Fire bekende producer Howard Bilerman (hij produceerde het briljante Funeral) vertaalde Joana Serrat de liefde voor de goed gevulde platenkast van haar ouders naar songs die stuk voor stuk diepe indruk maakten. Het bleek een platenkast met een voorkeur voor Amerikaanse folk en country, maar Joana Serrat en Howard Bilerman verwerkten alle invloeden uit het verleden in een fris en eigentijds geluid dat veel meer aandacht had verdiend. De herkansing komt met het onlangs verschenen Cross The Verge, dat nog veel mooier en indrukwekkender is dan zijn voorganger. Ook op haar nieuwe plaat werkt Joana Serrat weer samen met de gelouterde Howard Bilerman en dat is een wijs besluit. Cross The Verge klinkt immers fantastisch en ligt alleen door de productie al een flink stuk voor op de platen van de concurrentie. 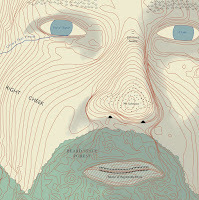 Dear Great Canyon werd nog opgenomen in Spanje, maar voor haar nieuwe plaat toog de Spaanse singer-songwriter naar Montreal, alwaar flink wat gastmuzikanten aanschoven, onder wie Basia Bulat, Neil Halstead (Slowdive, Mojave 3) en Ryan Boldt (The Deep Dark Woods). Het levert een prachtige plaat op, die veel meer aandacht verdient dan de toch wat ondergewaardeerde voorganger. Ook op haar nieuwe plaat maakt Joana Serrat weer muziek die is verankerd in de Amerikaanse rootsmuziek, die zo goed vertegenwoordigd was in de platenkast van haar ouders. Howard Bilerman sluit hierbij aan met een productie waarin de pedal steel centraal staat. Ondanks de voorliefde voor invloeden uit de Amerikaanse rootsmuziek en het bijbehorende instrumentarium, is Cross The Verge zeker geen 13 in een dozijn rootsplaat. 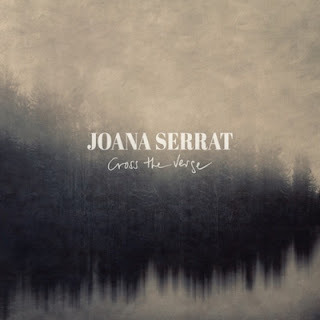 Dat heeft deels te maken met de lichte Spaanse en wat mij betreft zeer charmante Spaanse tongval van Joana Serrat, maar het heeft vooral te maken met de bijzondere sfeer die Joana Serrat creëert op haar nieuwe plaat. Cross The Verge heeft een licht bedwelmende en soms bijna bezwerende uitwerking en doet af en toe wel wat denken aan de platen van Mazzy Star. Het Britse muziektijdschrift Mojo slaat de spijker dan ook op de kop met de omschrijving “like Mazzy Star guesting on an early Neil Young demo”. Cross The Verge is soms ingetogen en bijna sereen, maar kan ook uithalen met lekker stevig gitaarwerk en is hierdoor gevarieerder dan de meeste andere platen in het genre. De veelzijdige stem van de Spaanse, die ook aan Sinéad o'Connor kan raken, maakt het af. Ik heb de plaat inmiddels een tijdje in mijn bezit en kan nauwelijks meer zonder. Joana Serrat maakte indruk met haar vorige plaat, maar deelt een mokerslag uit met deze prachtplaat. 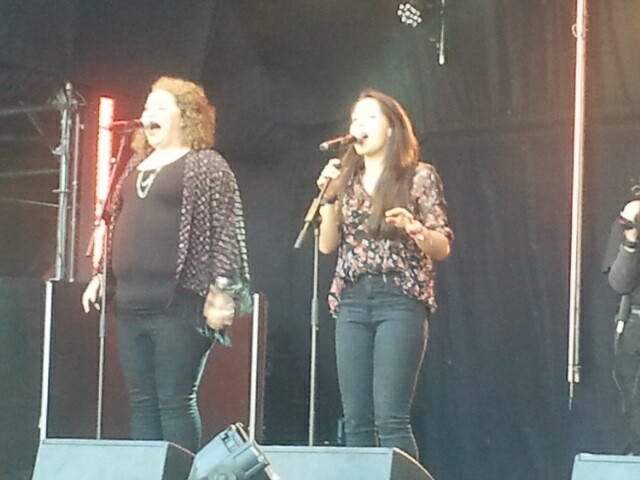 Ga dat horen! In the winter of 2014 this blog posted on an EP by The Future's Dust and had high hopes for the band based on those four extremely moody, strange but foremost beautiful songs. From there things went wrong within the band. Singer Rosan Rozema left the band. Through social media we kept in touch and she promised new music somewhere this year. The first song is there, Penrose Stairs, to be followed by an EP this fall and gigs as part of the so called Popronde. A song that is as bold as it is sensitive. I am going to stop writing here and let you listen to the first song by Rosan Rozema under the name A Fugative, but not before I write that the waiting was worth its while. Penrose Stairs is just as moody, dark and adventurous as the sound of her former band. 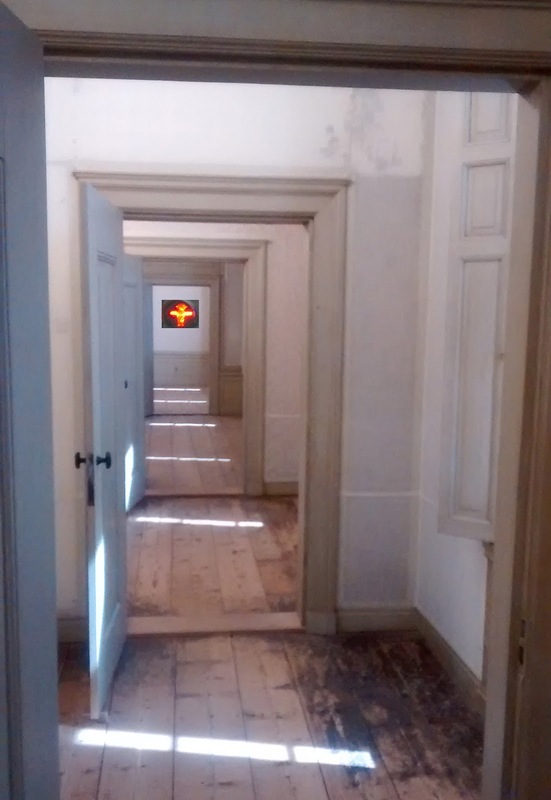 To that a form of open space is introduced that allows the song to breath and lets in the light. Going by this one song, my take is that all role models are behind her. This is A Fugitive. Not so long ago I wrote a review for this blog on a band called Captain Cheese-Beard. This band from Belgium produced the perfect Frank Zappa pastiche with full originals. Robbing Millions as such has nothing to do with Frank Zappa nor Captain Cheese-Beard, as far as I'm aware, but somehow the atmosphere of the two albums are connected. Something in the water in Belgium perhaps? Where the two meet is in the experimentation in sound. With a lot of imagination it may be possible to imagine that Zappa would have made this sort of music had he been a young and aspiring musician in 2010. The twist and turns in his music are certainly apparent here. Robbing Millions is connected to the Brooklyn band scene of the first part of the 10s. This is expressed most by the fact that producer Nicolas Vernhes (Dirty Projectors, Deerhunter, Animal Collective) was found willing to work with the band from Brussels. Together Lucien Fraipont (guitar/voice/compositions), Gaspard Ryelandt (voice/artwork), Daniel Bleikolm (keys), Raphael Desmarets (bass) and Jakob Warmenbol (drums) create a dreamy landscape in which nothing is what it seems. Not one song takes the easy road, to quote two ladies from Sweden. The guitars find notes and rhythms that take me off the beaten path. Fraipont and Ryelandt's vocals are dreamy, floating and tending towards helium infused sounds. They're highish, floating through space and time not aiming to please. Where the dreamy part is concerned Robbing Millions certainly brings The LVE to mind, but immediately takes a left turn towards experimentation. If the band strives for the perfect popsong it is able to conceal that ambition under a layer of estranging sounds and noises. 'What Makes Me Feel Old' may start out as a nice song, towards the end it is derailed in a serious way. Which makes it very interesting to listen to and undergo. An amount of submission is required though to be able to follow the twists and turns here. By then the idea crept up into my head that Robbing Millions when all is stripped away is one of the bands that was influenced by Talking Heads. Where with that band every note seemed to have been played with a surgical and mathematical precision, Robbing Millions does above all not mind to play around its main themes in a looser fashion. The tradition of Belgian music that is around since dEUS is there as is the Brooklyn scene around Vampire Weekend. Together a mix comes forward that attracts and pushes away. Where I personally am at, really, really comes with the mood I'm in. "I dare to make a prediction", said the grey haired man in shorts and a red blazer introducing the band on stage. "Within 6 months this band will be on television and next year it will play all the festivals". A bold prediction, based on a previous show he had seen earlier this year. My introduction was through the mini album 'One' the band released recently and was reviewed quite favourably on this blog. In fact most of the six songs are highly attractive to listen to and live reached the people who cared to listen to them in a very direct way. The enthusiasm on stage was catchy and especially the singer/keyboardplayer was able to connect to the audience and get them to participate. At the same time I can't push away the feeling that the main stage at this festival came a bit early early. Some band members were too happy to be on this stage and others obviously relieved when one of the more difficult breaks in a song came off well. This has to go before the band is ready for the prediction made. At the same time this comfort can only come by playing more and more together, on bigger stages. This process has to start somewhere. So why not here in Haarlem? Setting this aside, The Royal Engineers most of the time produced a big smile on my face and made me sing along to its own songs, with top songs like 'Aeroplane', 'Get Up' and 'Hey Sister' in the best Herman Brood and his Wild Romance/Gruppo Sportivo tradition and to the Brood cover 'Doin It' and The Box Tops' 'The Letter'. With the two female singers the band infuses its songs with a whole lot of soul and delicious harmonies, there are some hippie space song elements, the rock/soul of Herman Brood and some sophisticated jazzy elements, all within one song at times. That does need some fine tuning here and there, but the band obviously does not limit itself to anything. Ambition is a good thing to have and The Royal Engineers have it in abundance. Yes, I agree with the grey-haired gentleman introducing the band, but my prediction is that the band needs a little more mileage than six months. In the meantime I'm playing 'One' once again and enjoying every second of it. Live the band is good and will get better. 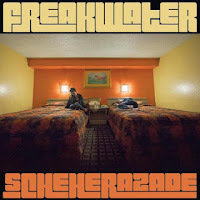 Freakwater behoorde aan het eind van de jaren 80 tot de pioniers van de alt-country, maar was op hetzelfde moment aanjager van de beweging die de zeer traditionele country- en folkmuziek weer op de kaart wilde zetten. Het leverde in de jaren 90 een vijftal uitstekende en ook zeer invloedrijke platen op, maar aan het eind van de jaren 90 werd het helaas stil rond de band rond Catherine Irwin en Janet Beveridge Bean. In 2005 volgde nog een eveneens uitstekende comeback plaat, maar hierna leek het doek definitief gevallen voor het invloedrijke maar slechts in kleine kring op de juiste waarde geschatte Freakwater. Elf jaar na Thinking Of You zijn Catherine Irwin en Janet Beveridge Bean echter terug met een nieuwe plaat, Scheherazade. 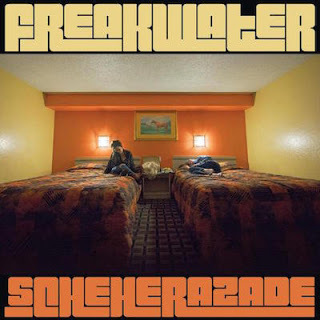 Ook op Scheherazade laat Freakwater weer horen dat het voortborduurt op muzikale tradities die een eeuw of zelfs eeuwen oud zijn, maar dat het aan de andere kant ook kan vernieuwen. Zo kan een song (Down Will Come Baby) die begint in de voetsporen van de roemruchte Carter Family ontsporen in gitaargeweld en vervolgens via een paar banjo akkoorden weer terugkeren in het verre verleden. Samen met gastmuzikanten als Warren Ellis (Nick Cave's Bad Seeds, The Dirty Three), James Elkington (Eleventh Dream Day, Tweedy), Evan Patterson (Young Widows) en min of meer vaste bassist David Wayne Gay, zetten Catherine Irwin en Janet Beveridge Bean een geluid neer dat je meesleept naar andere werelden. Het is een geluid dat is geworteld in tradities, maar het is ook een geluid dat durft te experimenteren en tegen de haren in durft te strijken. Voor Freakwater liefhebbers van het eerste uur is het weer intens genieten van songs die verleiden en betoveren en je de Verenigde Staten van het heden maar vooral het verleden inslepen. Het ene moment waan je je in de kille Appalachen, het volgende moment is het toch weer vooral het broeierige Zuiden van de Verenigde Staten. In muzikaal opzicht klinkt het allemaal geweldig (met een hoofdrol voor het geweldige gitaarwerk en het tegendraadse vioolspel van Warren Ellis), maar ook dit keer zijn het vooral de van vuur en emotie voorziene stemmen van de twee frontvrouwen die de muziek van Freakwater een unieke klank geven. Verplichte kost voor een ieder die de vorige platen van de band in de kast heeft staan, maar ook een mooi startpunt voor het ontdekken van het oeuvre van een unieke band. Hier komt hij voorlopig niet uit de cd speler. 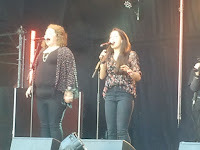 Emma Pollock stond ooit aan de basis van de legendarische, maar helaas slechts in kleine kring bekende Schotse band The Delgados en begon na het uiteenvallen van deze band een jaar of elf geleden aan een solocarrière. Deze verloopt vooralsnog moeizaam. Watch The Fireworks uit 2007 trok nog redelijk de aandacht, maar The Law Of Large Numbers uit 2010 werd ten onrechte grotendeels genegeerd (ook door mij overigens; ik hoorde de plaat pas een paar dagen geleden voor het eerst). 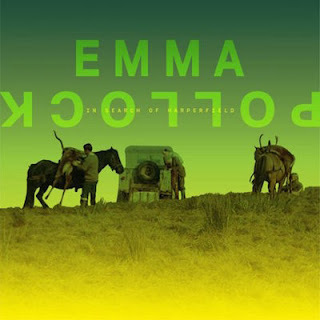 Ook In Search of Harperfield, de derde soloplaat van Emma Pollock, moet het in de eerste dagen van de release doen met betrekkelijk weinig aandacht, maar ook dit is een plaat die zeker gehoord mag of misschien zelfs wel gehoord moet worden. Op In Search Of Harperfield keert Emma Pollock terug naar de jonge jaren van haar ouders. Deze woonden na hun trouwen in een huisje dat naar de naam Harperfield luisterde. Het inspireerde Emma Pollock tot een serie prachtige popliedjes. Het zijn popliedjes die meer dan eens doen denken aan de popliedjes van Aimee Mann (wiens Bachelor No. 2 Or, The Last Remains Of The Dodo ik reken tot de favoriete platen in mijn platenkast). Net als Aimee Mann slaagt Emma Pollock er in om zeer rijk gearrangeerde popliedjes intiem te laten klinken en net als Aimee Mann is Emma Pollock een meester in het schrijven van popliedjes die direct bij eerste beluistering memorabel zijn. Het zijn popliedjes die over het algemeen wat minder schuren dan de eigenzinnige popliedjes van The Delgados, maar ik ben inmiddels totaal verknocht aan de tijdloze popliedjes op In Search Of Harperfield. Waar op de eerste soloplaten van Emma Pollock nog wat puzzelstukjes ontbraken, valt op deze nieuwe plaat alles op zijn plaats. De verassend veelzijdige en nergens gewoon klinkende instrumentatie is warm en gloedvol, de productie is prachtig, de songs zijn zonder uitzondering van hoog niveau en de stem van Emma Pollock klonk nog nooit zo mooi als op deze plaat. Dat ik de plaat vergelijk met een van de parels in mijn platenkast is natuurlijk al veelzeggend, maar zelfs ondanks deze onmogelijke vergelijking houdt In Search Of Harperfield zich makkelijk staande. Echt veel te mooi om te negeren dus deze fraaie derde van Emma Pollock. Ik laat me het laatste jaar vrijwel nooit meer inspireren door de ene minuut popmuziek uit De Wereld Draait Door. De reden hiervoor is simpel: ik zit DWDD vrijwel nooit meer uit tot het moment dat een artiest zijn of haar kunstje in die ene minuut mag vertonen is aangebroken. Gisteren werd ik echter blij verrast door het korte optreden van Lea Kliphuis en heb ik haar recent verschenen plaat er maar eens bij gepakt. The World Owes Me Nothing bleek vervolgens een verrassend sterke plaat en Lea Kliphuis bleek bovendien een oude bekende. Ruim vijf jaar geleden was ik immers zeer positief over Can I Come By? van ene Lea en deze Lea blijkt niemand anders dan Lea Kliphuis. The World Owes Me Nothing volgt op een langdurige writer’s block en werd uiteindelijk gemaakt met leden van Moss en de Staat. In DWDD vertelde Lea Kliphuis dat ze na haar writer’s block heeft geleerd dat je ook vrolijke popliedjes kunt schrijven en dit beheerst ze inmiddels tot in de perfectie. The World Owes Me Nothing is immers een plaat waarvan je alleen maar heel vrolijk kunt worden. Het is zo’n plaat die alle donkere wolken verdrijft en je laat genieten van de eerste lentezon. 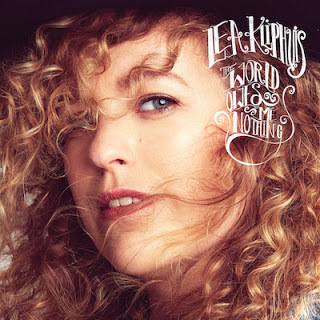 Het is in het geval van Lea Kliphuis een Amerikaans lentezonnetje, want in muzikaal opzicht laat Lea Kliphuis zich vooral inspireren door Amerikaanse rootsmuziek en de Amerikaanse singer-songwriter muziek uit de jaren 70. The World Owes Me Nothing is voorzien van een warmbloedig klankentapijt dat de zon uitbundig doet schijnen. De instrumentatie op de plaat is vaak relatief sober, waardoor de stem van Lea Kliphuis alle ruimte krijgt. Dat is niet onverstandig, want de zang op deze plaat is echt geweldig. Lea Kliphuis heeft haar eigen stijl en het is een stijl die flink wat emotie en doorleving koppelt aan het vermogen om een grote glimlach op je gezicht te toveren. De stem van Lea Kliphuis brengt de mooie popliedjes met een snufje country tot leven en maakt er popliedjes van die je wilt koesteren. Op basis van Can I Come By? van Lea concludeerde ik een paar jaar geleden al dat we te maken hebben met een grote belofte, maar de belofte is Lea Kliphuis met haar nieuwe plaat al ver voorbij. The World Owes Me Nothing is een echte feel good plaat, maar het is ook een emotievolle plaat om zielsveel van te houden. Dat hoorde ik al in dat ene minuutje DWDD, maar de resterende 38 minuten moeten ook absoluut gehoord worden. 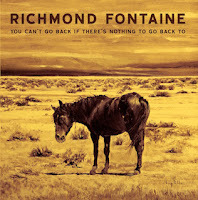 Richmond Fontaine werd in 1994 opgericht in Portland, Oregon, en bouwt sindsdien aan een prachtig oeuvre. Veel van de tien platen die de band tussen 1997 en 2011 uitbracht reken ik tot het beste binnen de alt-country en een aantal platen van de band zijn me zo dierbaar dat ik ze absoluut zou meenemen bij verbanning naar een onbewoond eiland. Het is daarom even slikken dat de onlangs verschenen elfde plaat van de band ook meteen de laatste zal zijn. Helemaal als een verrassing komt dat natuurlijk niet. 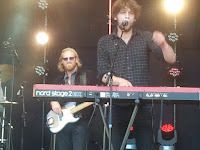 De band viel na het in 2011 verschenen High Country al deels uit elkaar en verder is voorman Willy Vlautin inmiddels succesvoller als schrijver dan als muzikant en maakt hij keuzes die niet altijd in het voordeel van zijn band uitvallen. 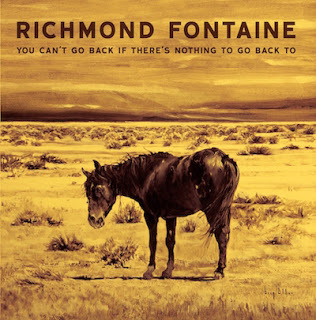 Gelukkig is You Can't Go Back If There's Nothing To Go Back To een slotakkoord dat niet onder doet voor de andere platen van Richmond Fontaine. De band stond nooit bekend om haar opgewekte muziek, maar You Can't Go Back If There's Nothing To Go Back To (de titel doet ook wel wat vermoeden) is wel een erg donkere plaat geworden. 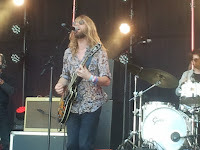 Richmond Fontaine heeft haar laatste plaat voorzien van een stemmige maar ook bijna weemoedige instrumentatie. Hierin is een hoofdrol weggelegd voor de 'huilende' pedal steel, maar ook de ingetogen gitaarakkoorden en de sfeervolle keyboards dragen nadrukkelijk bij aan de bijzondere sfeer op de plaat. Het is een sfeer die vrijwel onmiddellijk beelden op het netvlies tovert en het zijn beelden die verder worden ingekleurd door de wederom prachtige teksten van Willy Vlautin, die zijn schrijftalent zeker niet reserveert voor zijn boeken en zijn teksten ook nog eens indringend voordraagt. You Can't Go Back If There's Nothing To Go Back To is hierdoor een plaat die je onmiddellijk meesleept in de wereld van Willy Vlautin. Ondanks het feit dat het een wereld vol ellende is en de band soms bijna uitgeput klinkt, is het goed toeven in de muzikale wereld van Richmond Fontaine. You Can't Go Back If There's Nothing To Go Back To is een alt-country plaat van hoog niveau en het is bovendien een plaat die aankomt, zoals je dat in dit genre verwacht. Natuurlijk blijft het doodzonde dat dit de laatste plaat is van deze geweldige band, maar het is een zwanenzang om trots op te zijn en het is er een om te koesteren, in de bewoonde of onbewoonde wereld.